We were looking how to grab a bargain getaway for last week's Finance Fridays on booking a last minute holiday. 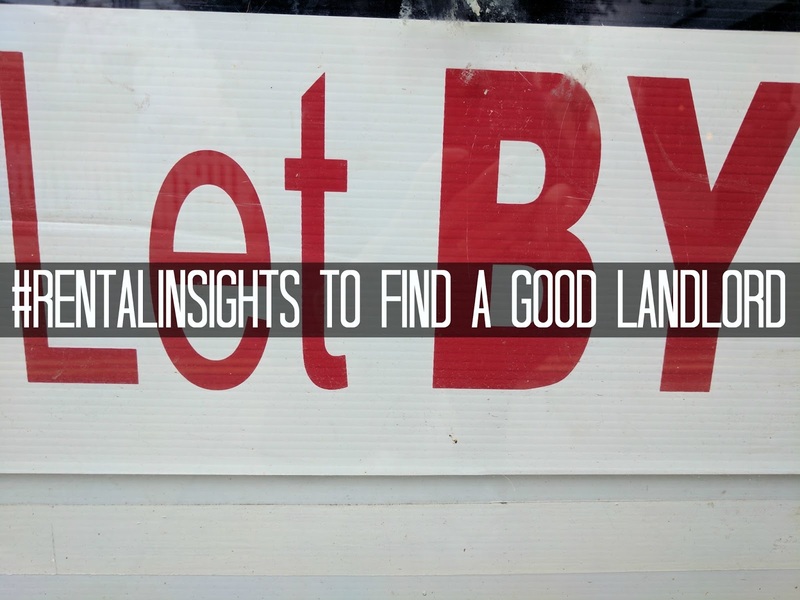 This week we are keeping firmly at home and seeing what makes a good landlord. The rental market is growing at the moment with more people opting to rent a property than buying. Finding a suitable property at the right price can be tricky enough but you also need to make sure that your landlord is a good one as you will rely on them for repairs, property improvements and to keep your deposit safe. Many years ago we rented for a short time before buying our first house. It was a very informal arrangement where we rented a room in the house of a family friend. All the utilities were included in our weekly rent and we didn't even need to pay a deposit! Things have moved on though and a more formal approach is best for both sides. Let's have a look at what makes a good landlord. Appliances regularly checked – Faulty equipment and alarms can be fatal. Annual inspections are needed for any gas or electric equipment and have to be carried out by a registered engineer. Fire and carbon monoxide alarms also need to be in full working order at all times. All these should be recorded when they took place and have the appropriate paperwork and certificates. Deposit – Now a tenant's deposit must be kept in a special approved deposit scheme. Landlords cannot simply put it in a bank account or keep your cash in an envelope. This is a legal requirement and your landlord must give you full details of the scheme it is in, how to get it back and what to do if there is a dispute about the amount the landlord gives back at the end of the tenancy. Tenancy agreement – Make sure your tenancy is clear and you understand your obligations as a tenant. If you are worried about your financial responsibilities when renting and what it could cost you if you damage the property, contents, fixtures or fittings then have a look at taking out insurance from a rental specialist such as homelet.co.uk. Check the inventory – A good landlord should have an inventory of everything in the property and state if there are any defects. If you spot immediately that something is missing or damaged such a small hole in the carpet you can get it amended it. If not you could end up having it deducted from your deposit when you move out. Professional organisation member – See if your landlord is a member of recognised professional body such as the National Landlords Association (NLA). This will be an indicator of whether they know of their responsibilities as a landlord and will be able to keep up to date with current legislation and regulations. Have you ever rented? Did you have a good landlord? This is an collaborative post. If you want to join in with this week's Finance Fridays then add your link to the linky below. Any post concerning financial matters is allowed. Full details here. It doesn't have to be published today as you have until 23.55 on Tuesday 15th August 2017 to join in.